Stories inspired by the photos and memorabilia from the attic, our family museum. “Who are these two little varmints?” Red’s gruff voice startled his cousin’s two little girls, not used to this abrupt address. They were teens the next time they saw Donovan, as he was known to them. He had come down from a place in the California mountains called Stirling City to pay respects to their grandfather, his uncle. Wearing a dark suit and talking with other men he seemed to know, he was an unknown person. 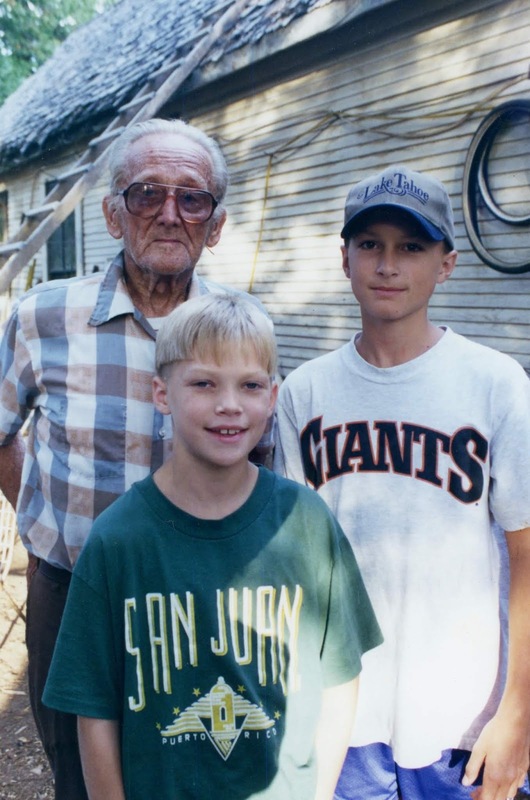 He was vaguely related to them, it seemed, and lived in that faraway mill town where their father had grown up. Some thirty years later one of those girls and her family found Red sitting outside his home in an easy chair salvaged from the garbage dump, ready to have an afternoon snooze. He had been to church in the morning, the Assembly of God, and had had some stew. He was still dressed for Sunday in new, clean blue Levi’s, a tan Penney’s work shirt and black dress shoes. Several cords of split and stacked firewood sat piled in his yard. His wood frame home, two years older than Red, looked to be a mill worker’s cabin and, like Red, showed signs of age. He had lived in Stirling City most of his then eighty-nine years, a community of about three hundred people who had at one time depended on employment at the Diamond Match Company mill. 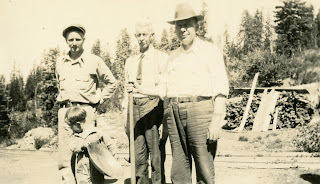 Red, too, worked for Diamond Match in many different jobs requiring skilled manual labor. But he wasn’t from there. Red was born William Donovan Kellar in Henderson Township, Jefferson County, Pennsylvania, 14 May 1906, to William Walter Kellar and Prudence Margaret Phillippi. 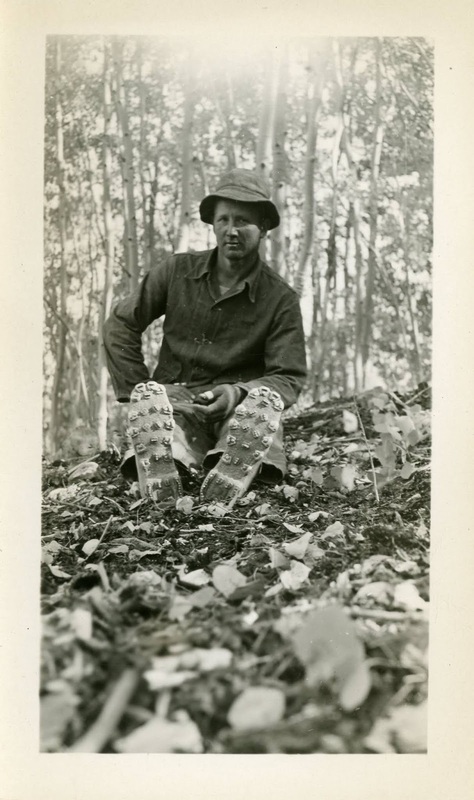 At the time, coal mining was big business in Jefferson County. Throughout Red’s childhood, his father Will Kellar worked in the mines. He knew about the dirty, unpleasant work down in the belly of the earth. As he reached the age to join the men in the mine, he went down and learned that he wanted nothing of it. He was at odds with his father, so what could a young man do to earn a living with only a grammar school education? Will contacted his brother John in California, who agreed to take Red under his wing. 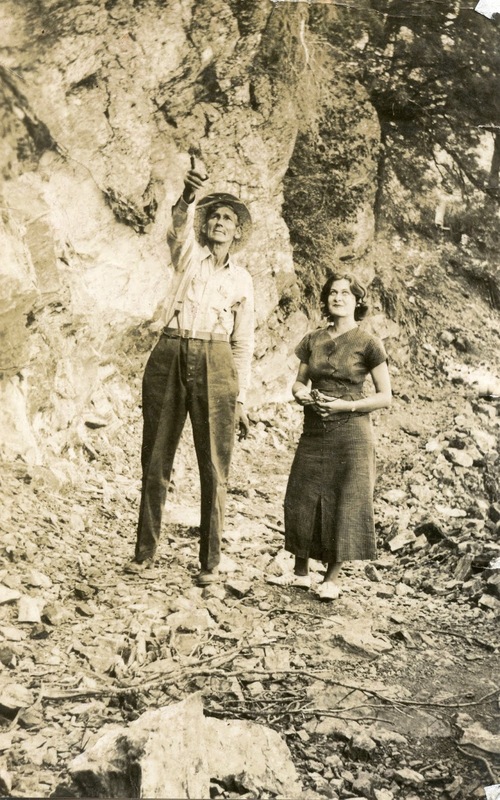 In 1924 at seventeen he left his home in the hills of Jefferson County and headed west to the clean air and giant stands of ponderosa pines in northern California’s timber country. 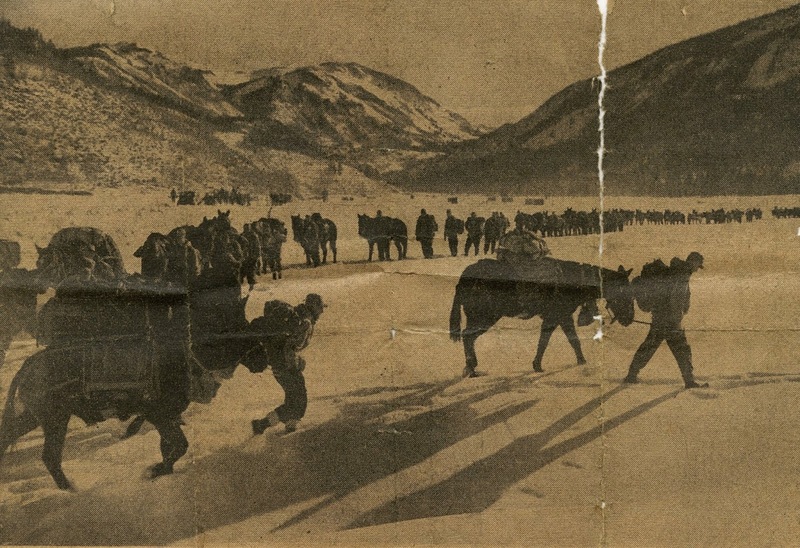 One of Red’s first jobs in the woods was to carry water for a crew, hauling it in canvas bags on a horse. 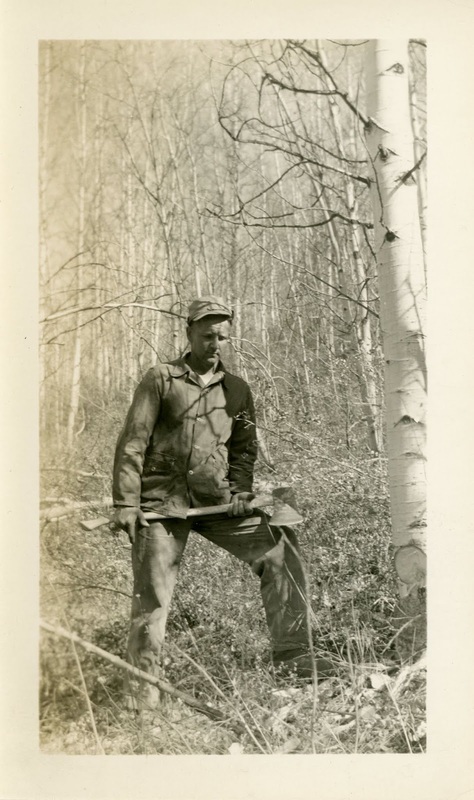 Red was married once, about 1936, during his early days at the sawmill. He was working long hours, fifteen and sixteen hours a day. He had lots of work to do, and he didn’t keep company with her. 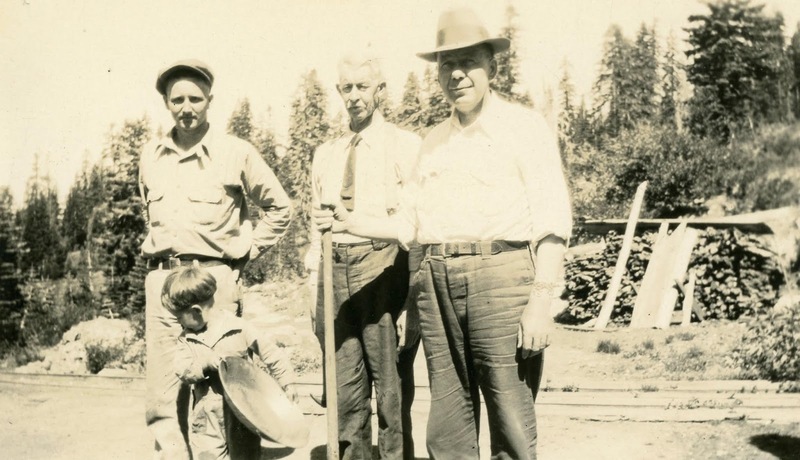 So, with free time and a car at her disposal, she entertained the younger fellows from the nearby Civilian Conservation Corps (CCC) camp, one this day, another the next. Finally, she ran off with one of them, and eventually she and Red divorced. He bore her no ill will, taking full responsibility for her leaving. There’s plenty of gold left in California hills, and Red’s friend Harry Sheehy opened the Butte Dix mine near Stirling City. 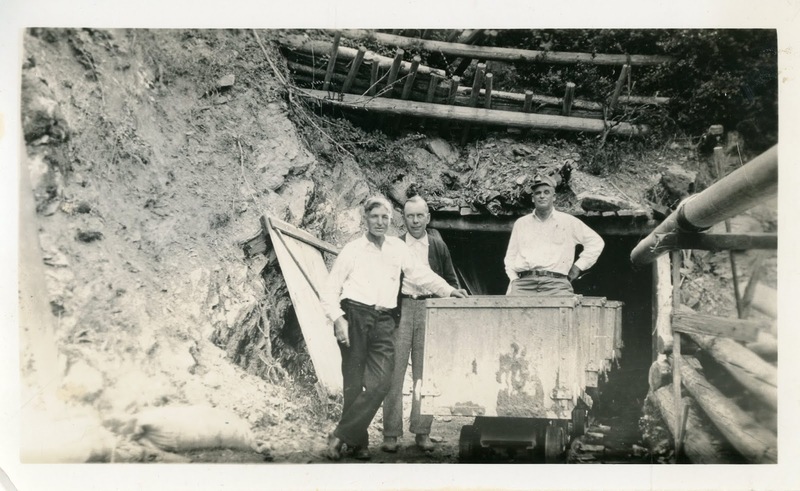 A dozen investors put up about $150,000 in the 1920s to fund the mine, including Red and his Uncle Jack and his wife, who put up their life’s savings of $12,000. 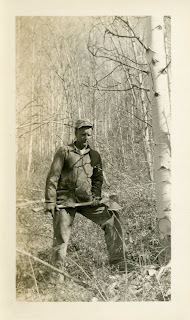 Red, skilled at whatever labor he attempted, worked along behind the driller. One day he asked Red for a drill extension. 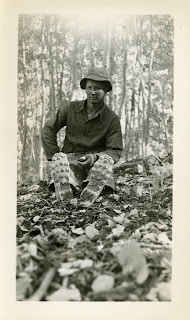 A short while later he stopped drilling, got out a cigarette, lit it with the carbide lamp, and said, “That’s the end.” He had hit soft dirt, and mud started to ooze through. They drilled; they kept trying, but they were never successful at finding that vein again. They lost it all. There’s still gold all over those hills. The vein is still there, slid up or down by some ancient earthquake, teasing prospectors and would-be miners. 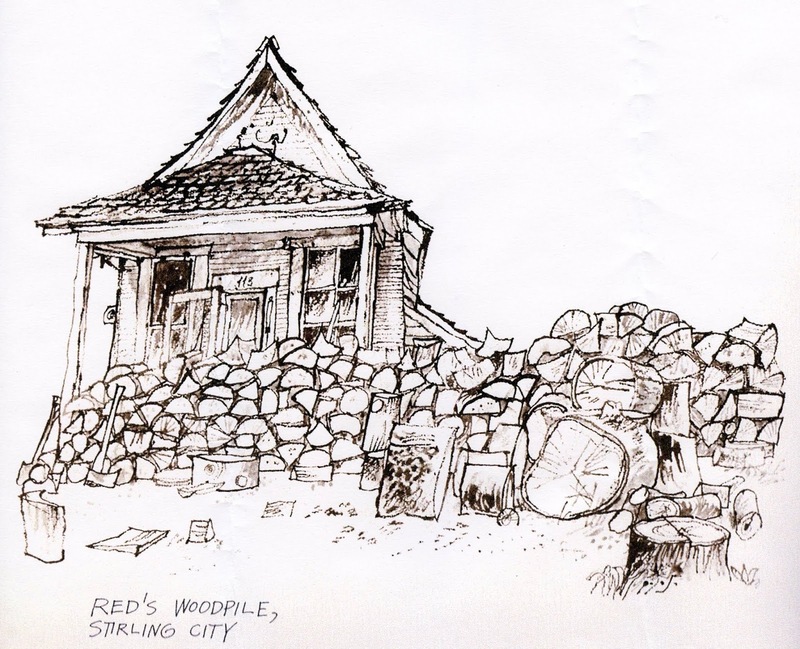 Red left Stirling City briefly during World War II. 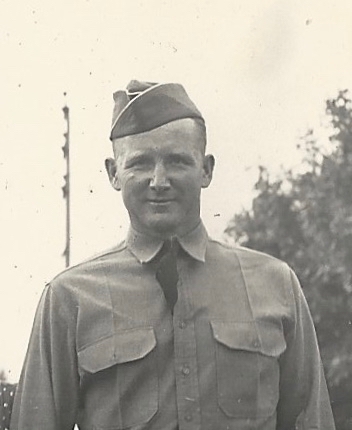 He enlisted in the Army as an older man of thirty-four in 1942. His service took him to a number of camps stateside to give training in mountain and winter warfare under extreme weather conditions. 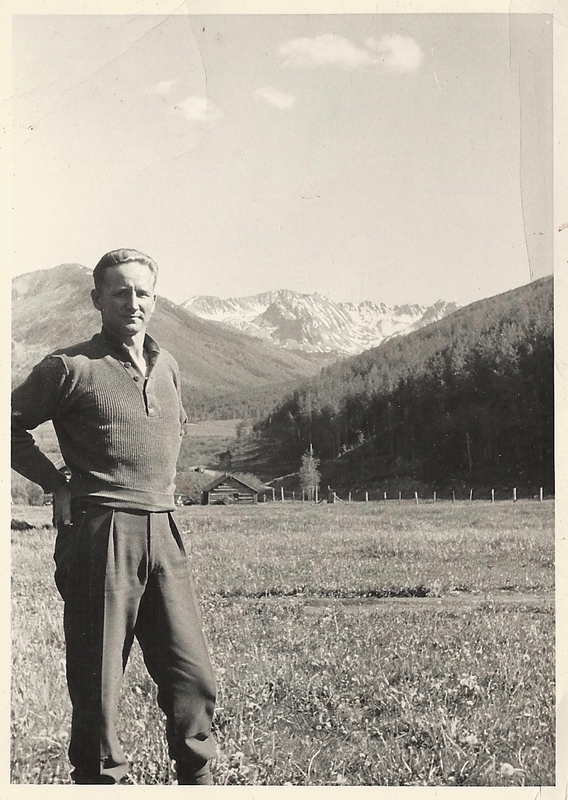 He was sent on special service to Norway and a number of other places, where he put his skill in marksmanship and on skis and snowshoes to good use. high . . . [mount]ains. Mules . 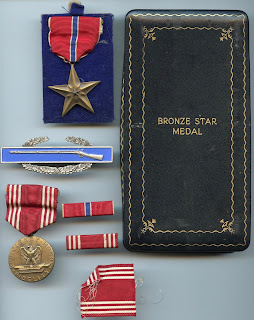 . ."
For heroic achievement in action against the enemy on 25 April 1945, in the vicinity of Regenstauf, Germany. **** was patrolling the road leading into Regenstauf from the north to keep traffic cleared for Engineers building a bridge and for medical units evacuating casualties. During the patrol enemy artillery shells started to fall along the road, necessitating **** to take cover. From his covered position, **** observed a wounded Engineer lying on the road. He immediately left his covered position and went to the aid of the wounded engineer. With utter disregard for personal safety **** exposed himself to intense enemy artillery fire to evacuate the wounded man and remove him to the Medical Aid Station. **** heroic action is an inspiration to all. Red’s life stories reveal a man of great knowledge and skill, all earned over a long lifetime of hard work. In his small community everyone knew him and knew they could come to him when they needed help, from the mundane to the serious. He owned a compressor that he kept outside his house, and all the neighborhood kids would come to him to pump up their bicycle tires. Old vehicles rusted at the back of his property, and once he found a “Vietnamer,” as he called him, all curled up in an old trailer. The fellow hadn’t eliminated in a while and was “all bound up inside.” Red got him moving around and took him in for a while. He wanted to give him something to relieve his discomfort, but had available only coffee and stew, which apparently served the purpose. His generosity and respect for life extended to a little kitten whose “water works” weren’t working. Red nursed him to health, too. In his late eighties, Red told his minister of a dream he had had. He had to build two large wooden boxes, and they had to be just perfect. He worked hard, with a crew, and finished the first box. It was perfect. They worked more and finished the second box, but Red checked it, and it was not perfect. He’d have to get back at it and make it perfect. At that moment, he woke up. Try as he might, he was unable to go back to sleep and the dream so he could perfect that second box. Rev. Wolf offered Red his explanation of the dream. He said that God was not ready to take Red yet, even though he was very ill. He had not yet completed his work on earth. From that time Red began to attend church and Sunday school and make an offering more regularly. One day he went to Rev. Wolf and explained that after doing some checking he determined that he had never been baptized. Rev. Wolf then baptized him by immersion in the extremely cold Feather River. The pastor was then satisfied that Red had completed his work on earth, perfected the second box, and was ready to move on from this earthly life. Red was ready, too. Red’s generous service to others ended 26 May 1997. He was ninety-one. Much of the town of Stirling City attended his funeral a few days later. They sang one of his favorite hymns, one his mother sang as she went about her household chores. Earl Thollander, "Red's Woodpile," in Back Roads of California; Selected Trips and Side Roads off California's Major Highways; Sketches and Trip Notes (Menlo Park, California: Lane Publishing, 1971). “Pennsylvania, Birth Certificates, 1906–1910” database and images, Ancestry (https://www.ancestry.com/interactive/60484/42411_2421406260_0782-02642 : accessed 20 December 2018), William Donovon [sic] Kellar, file no. 172094, filed 1 May 1906. 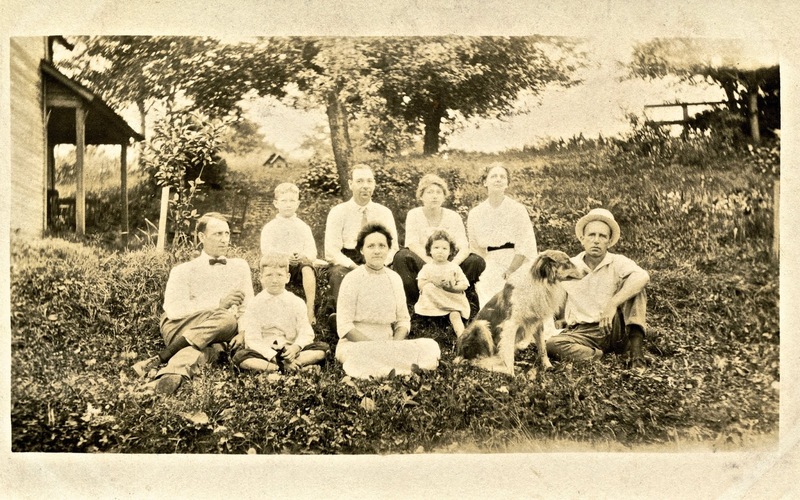 1910 U.S. Census, Jefferson County, Pennsylvania, population schedule, ED 0073, sheet 39 (stamped), dwelling/family 43, William W. Kellar (laborer in mine) household; digital image, Ancestry (https://www.ancestry.com/interactive/7884/4449309_00651 : accessed 20 December 2018); from NARA microfilm T624, roll 1351; FHL microfilm 1,375,364. Also, 1920 U.S. Census, Jefferson County, Pennsylvania, population schedule, Henderson Township, ED 148, sheet 6B (penned), family 103, dwelling 108, William Keller (foreman, tipple) household; from NARA microfilm T625, roll 1575. Also, 1930 U.S. Census, Jefferson County, Pennsylvania, population schedule, Henderson Township, ED 14, sheet 8A (penned), dwelling 141, family 149, William Keller (Filing Clerk, coal mine) household; from NARA microfilm T626; FHL microfilm 2,341,781. William Donovan “Red” Kellar (Stirling City, California), interview with Judy Kellar Fox, 5 August 1995. Julie Cederborg, “Red: Reflections of a Lifetime,” Paradise [California] Post, 28 May 1996, B-1. William Donovan “Red” Kellar, interview, 5 August 1995. Also, Cederborg, “Red: Reflections of a Lifetime,” B-1 and B-3. 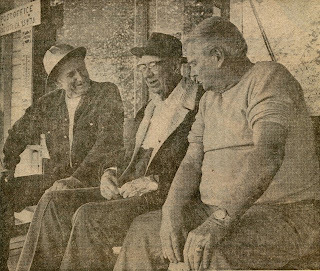 Charles Hillinger, “’Three Old Stiffs’ a Part of Stirling City’s History,” Los Angeles Times, Focus Section, 13 December 1979. Lucas Siegfried, “William Donovan Kellar, ‘Red’,” MS written as a class project for Stirling City elementary school, 1996; copy provided by Siegfried 1997. Lucas created the project about someone who was a hero to him. Red had saved his mother’s life. William Donovan “Red” Kellar, interview, 5 August 1995. “U.S. 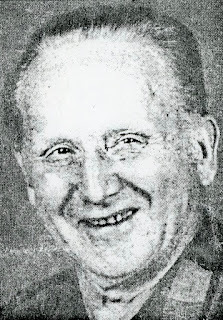 World War II Army Enlistment Records, 1938–1946,” database, Ancestry (https://search.ancestry.com/cgi-bin/sse.dll : accessed 24 December 2018), for William D. Kellar, b. 1906, California. Cederborg, “Red: Reflections of a Lifetime,” B-1. 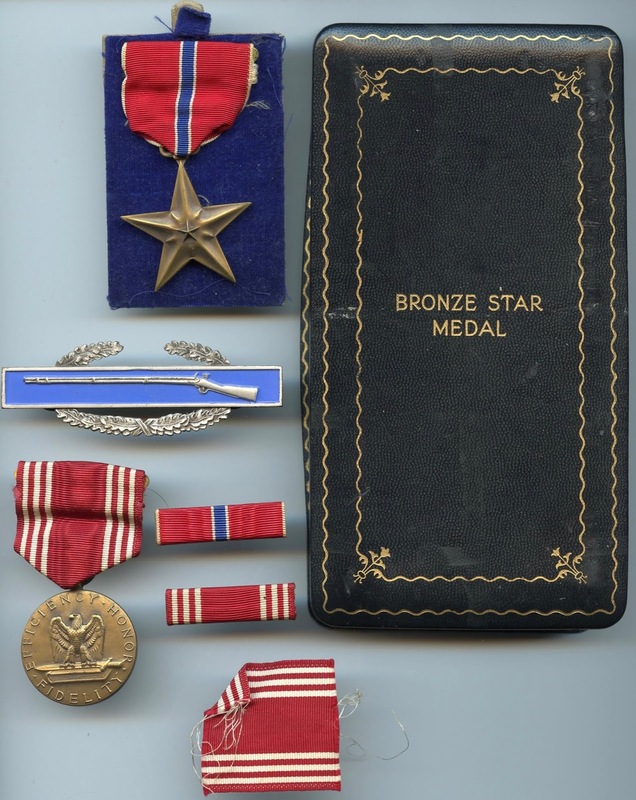 Robert G. Hauser, Major, AGD, Acting Adjutant General (Headquarters 71st Infantry Division, APO 360, U.S. Army), “Award of the Bronze Star Medal,” 6 June 1945, General Orders Number 43. 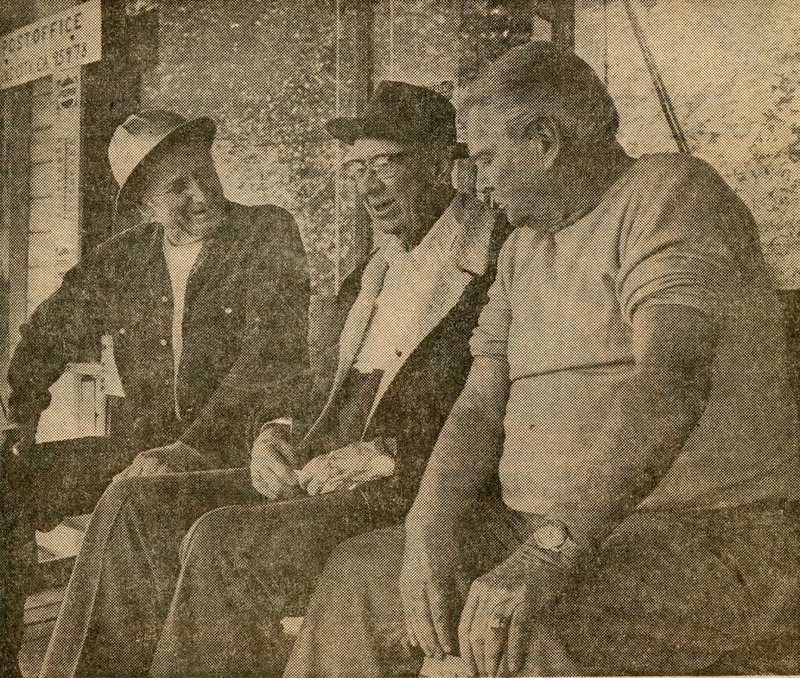 "'Three Old Stiffs'," Los Angeles Times, 13 December 1979, Focus Section, cols. 2-4. Ron Wolf, remarks, Funeral service of William “Red” Kellar, Chapel of the Pines, Paradise, California, 31 May 1997. Butte County, California, Certificate of Death, 3199704000996, William Donovan Kellar, issued 29 May 1997; copy provided to the author by Paradise Chapel of the Pines Funeral Home. “When the Roll Is Called up Yonder,” Cokesbury Methodist Hymnal, no. 210. The author attended Red’s funeral.